Benz Spring Company is now A Division of J&J Amusements, Inc. 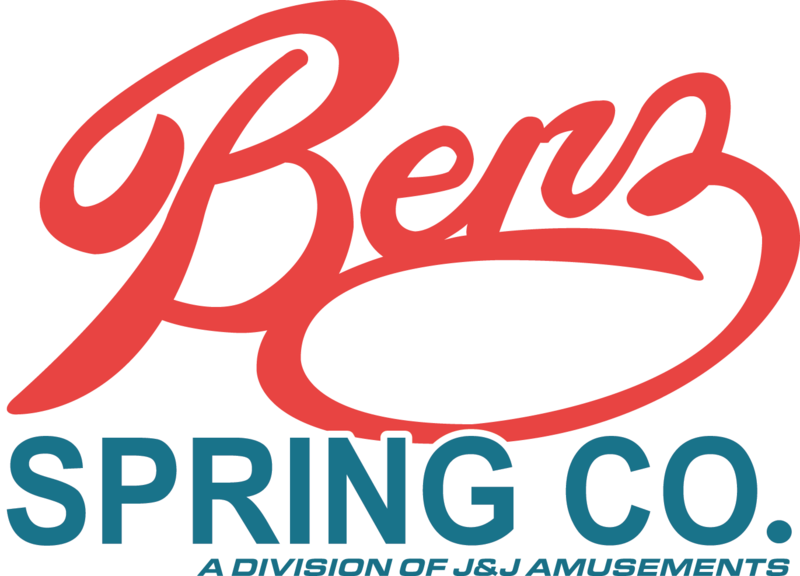 Since 1922, valued customers like yourself have trusted Benz Spring Company as an integral part of your manufacturing team. After 95 years in the business, the Benz family is ready to retire and has trusted J&J Amusements to carry on their legacy of excellence: we at J&J are proud to bring the Benz name and manufacturing machinery to our warehouse here in Salem, Oregon! We are committed to providing you with the unmatched quality and service that you expect and deserve! You can also fax in orders to 800-366-7505. We have a new mailing address here at our Salem location, so please make sure to send all mail to the following address. PLEASE ADJUST THE REMIT-TO ADDRESS IN YOUR SYSTEM FOR BENZ SPRING!! We look forward to continuing to provide you with the quality parts you expect and enhancing your experience with our renowned customer service. Call, fax or email us today to say hello, request a quote, or place your next order and experience the J&J difference!